At a meeting with the retired defence personnel, the Congress president said that if his party is voted to power in the 2019 parliamentary election, it will fulfil their demands, including 'one rank, one pension' (OROP). 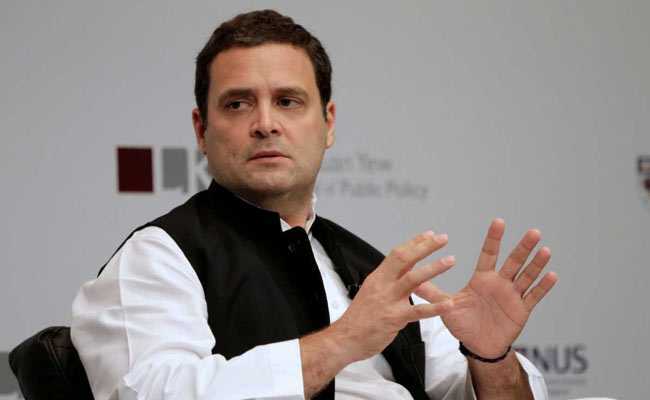 A Congress-led government would fulfil all the commitments the party had made on the 'one rank, one pension' issue, Rahul Gandhi told a group of ex-servicemen on Saturday. Raking up the Rafale fighter jet deal, he said the Narendra Modi government handed out Rs 30,000 crore to industrialist Anil Ambani, but refused to meet the demands of the soldiers on OROP. The amount of Rs 30,000 crore was more than enough to solve the OROP issue, he said after the 30-minute meeting. The Congress has alleged that the Anil Ambani-led company was favoured by the Modi government on the offset contract of the Rafale deal. The private firm has denied the allegations.